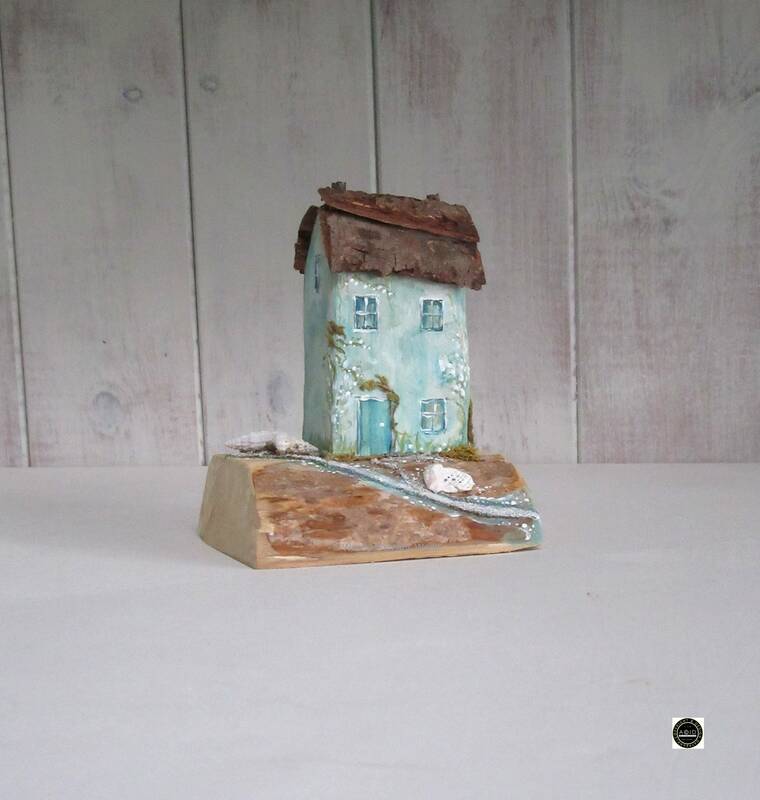 A little part of our countryside by the sea in a rustic style. 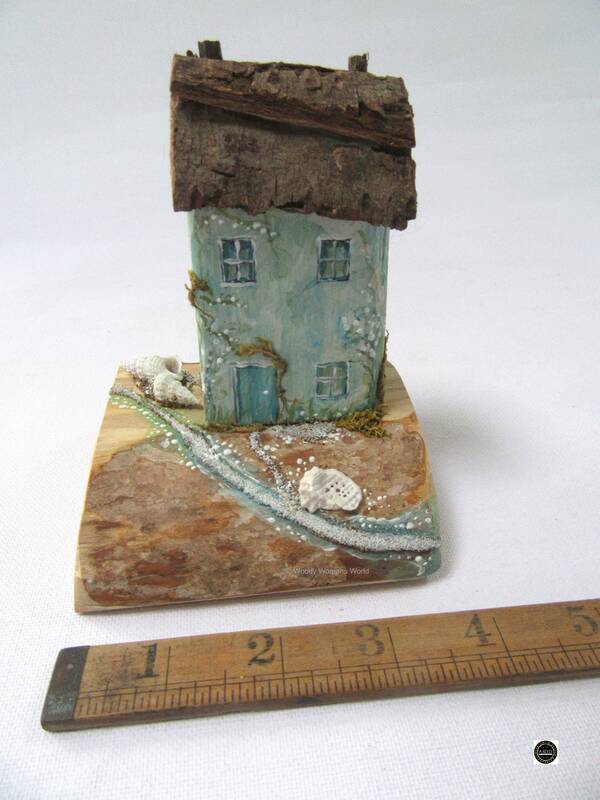 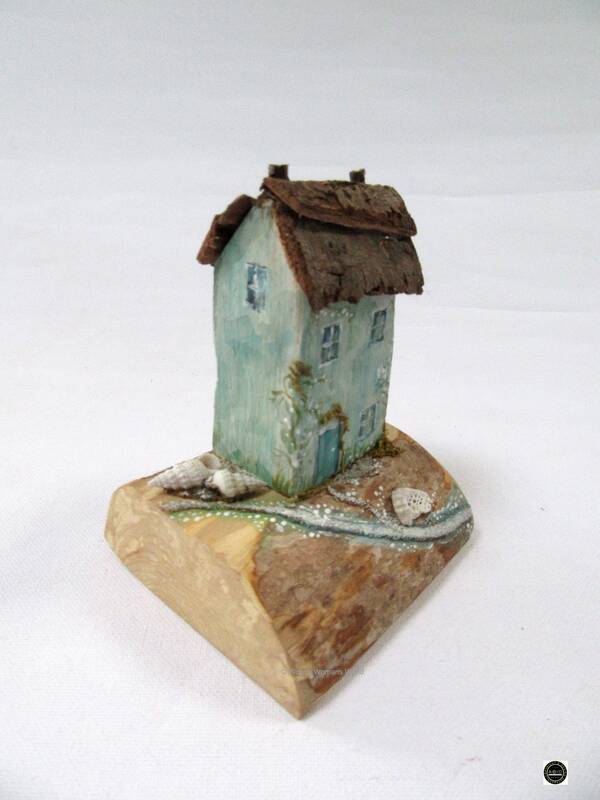 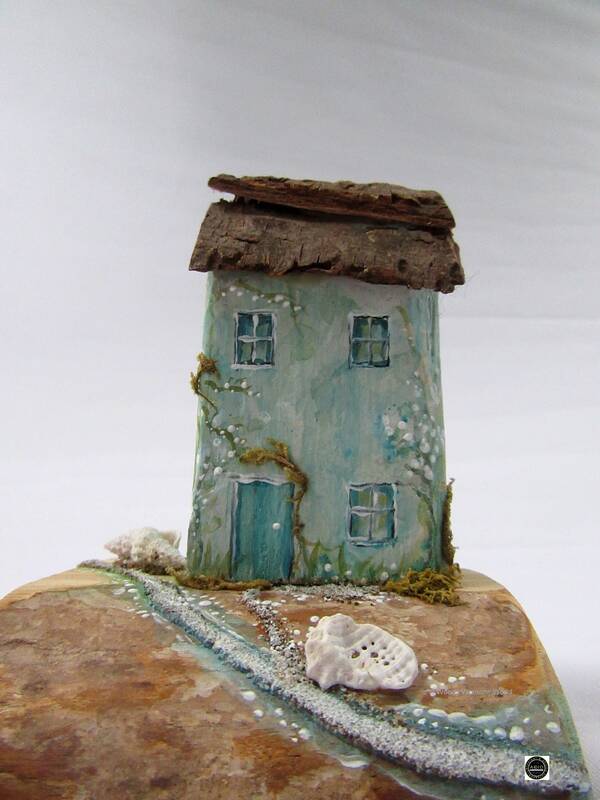 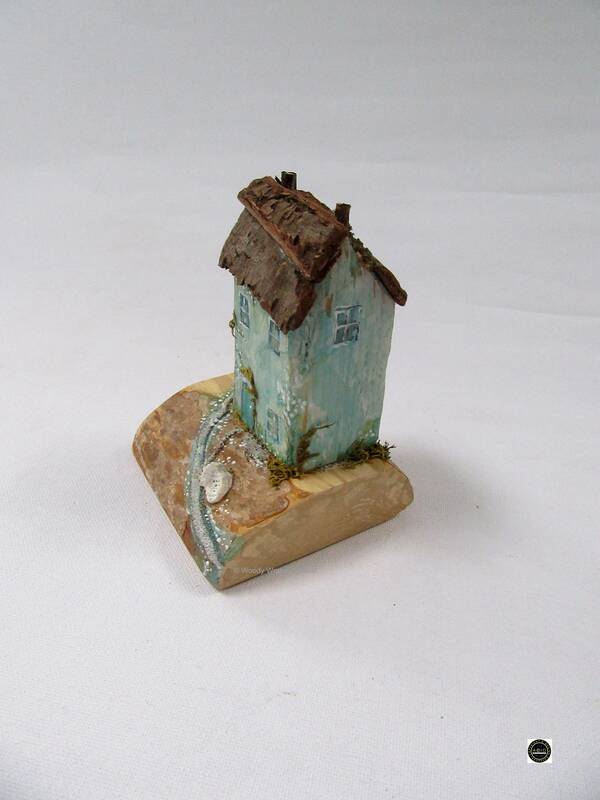 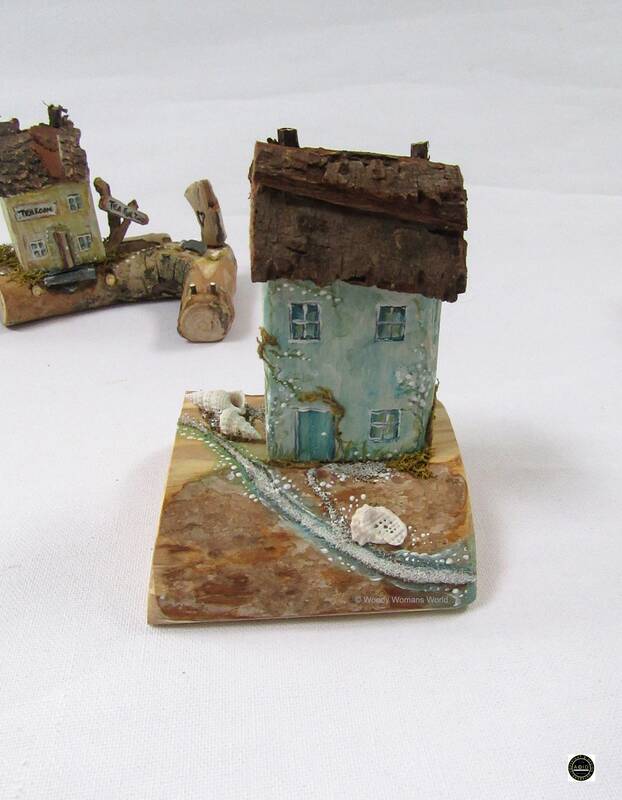 A handmade blue cottage inspired by the quaint huddled cottages by the sea. 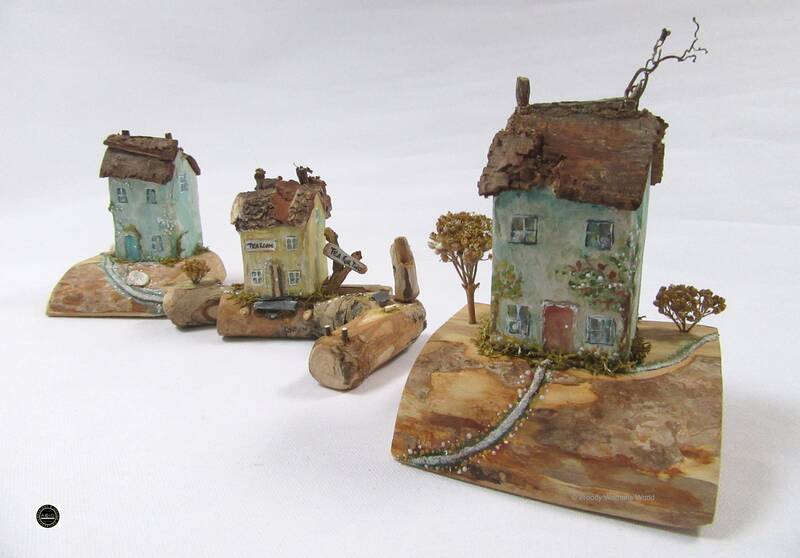 Perfect for those who love the rustic and ruggedy outdoors. 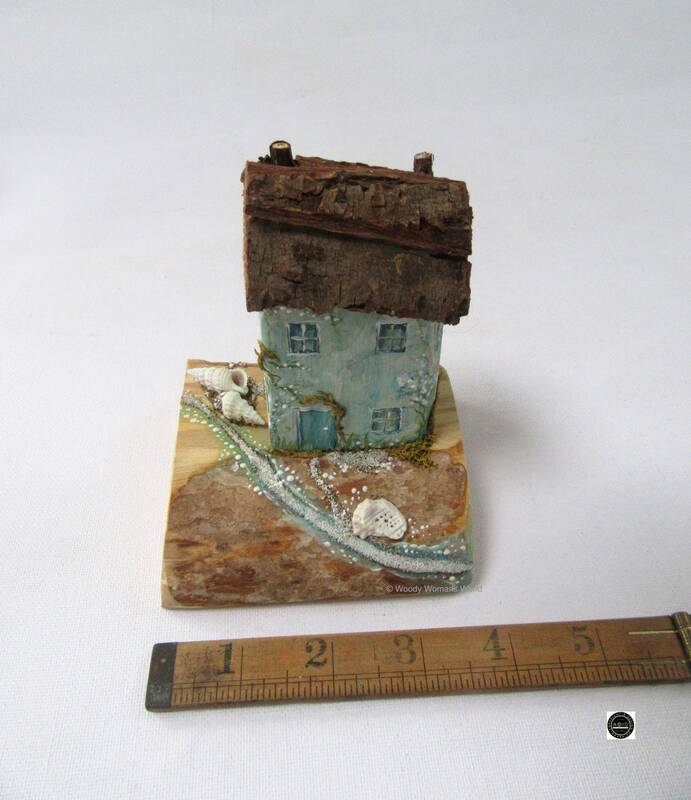 Size of the whole wooden sculpture is 12cm in height from base to the top of the chimney width is 9cm and 9cm in depth. 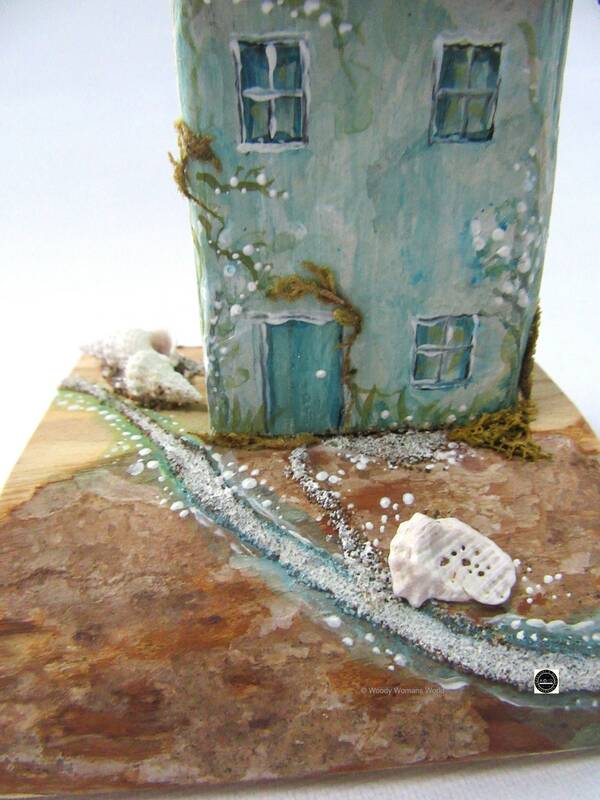 Layers of paint and varying textures create a wonderful story book charm to the cottage. 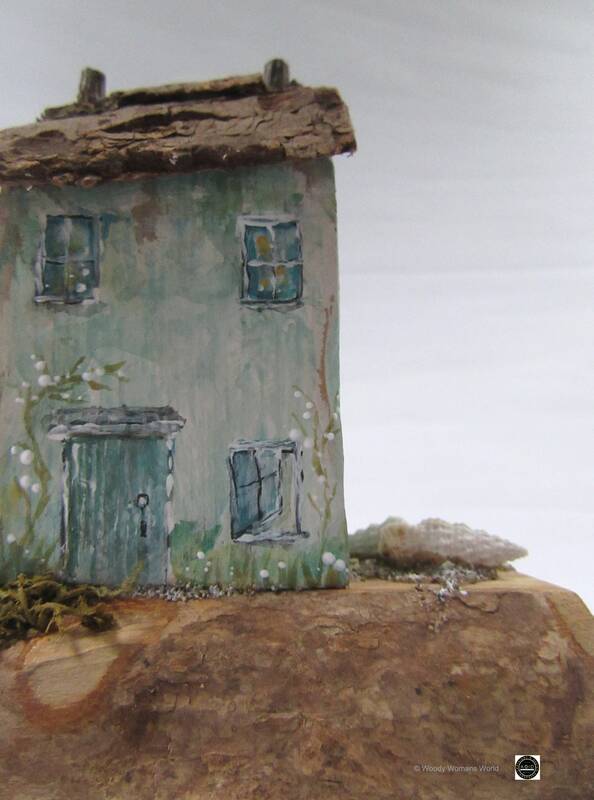 All sides have been painted allowing you to place it centrally.